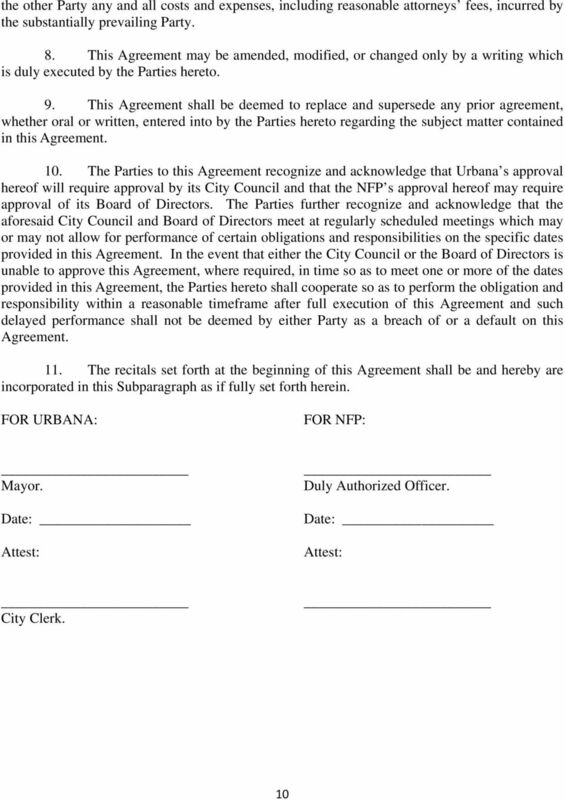 Download "M E M O R A N D U M. Mayor Prussing and Members of the Urbana City Council. 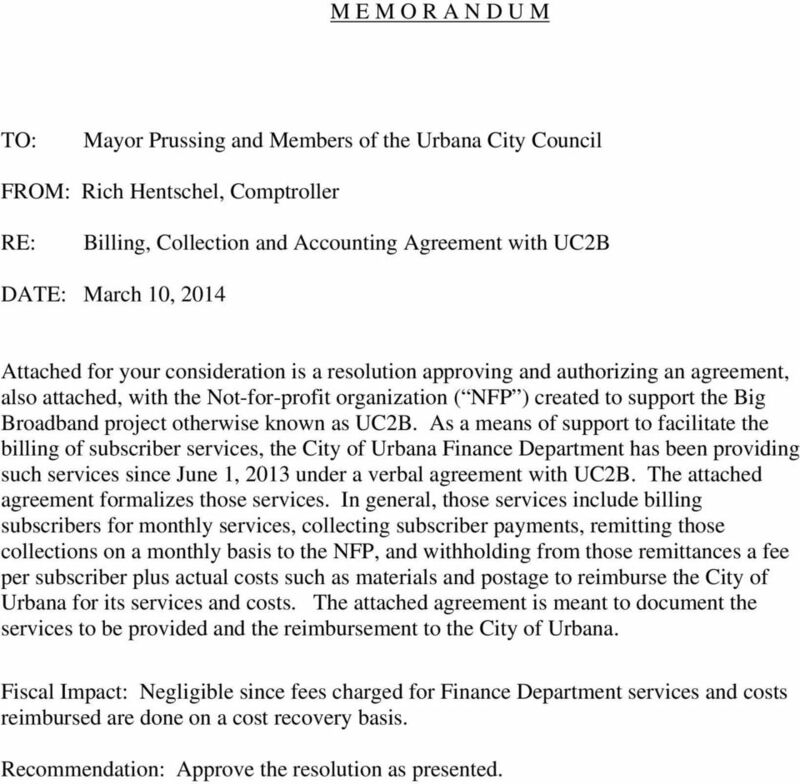 Billing, Collection and Accounting Agreement with UC2B"
1 M E M O R A N D U M TO: Mayor Prussing and Members of the Urbana City Council FROM: Rich Hentschel, Comptroller RE: Billing, Collection and Accounting Agreement with UC2B DATE: March 10, 2014 Attached for your consideration is a resolution approving and authorizing an agreement, also attached, with the Not-for-profit organization ( NFP ) created to support the Big Broadband project otherwise known as UC2B. 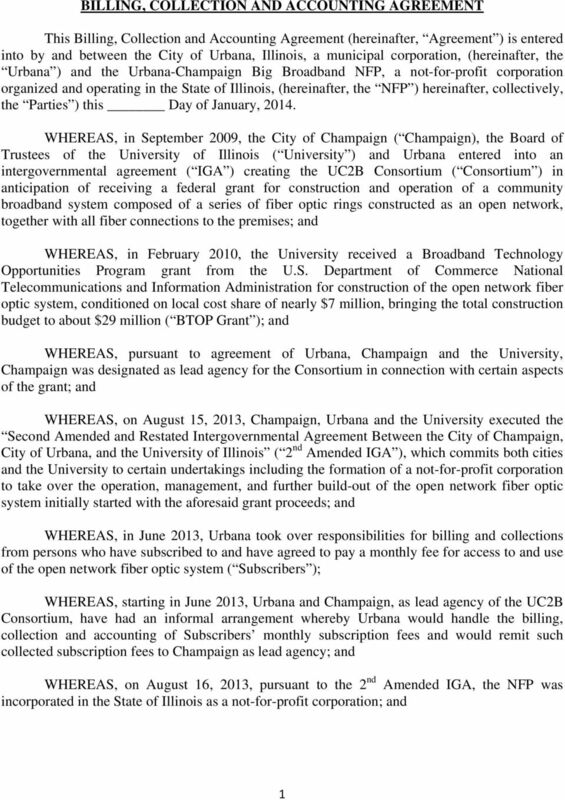 As a means of support to facilitate the billing of subscriber services, the City of Urbana Finance Department has been providing such services since June 1, 2013 under a verbal agreement with UC2B. 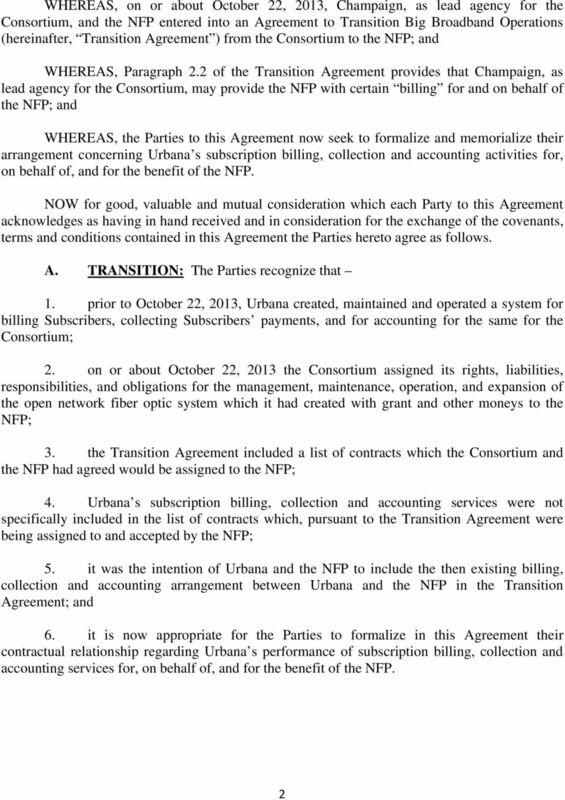 The attached agreement formalizes those services. 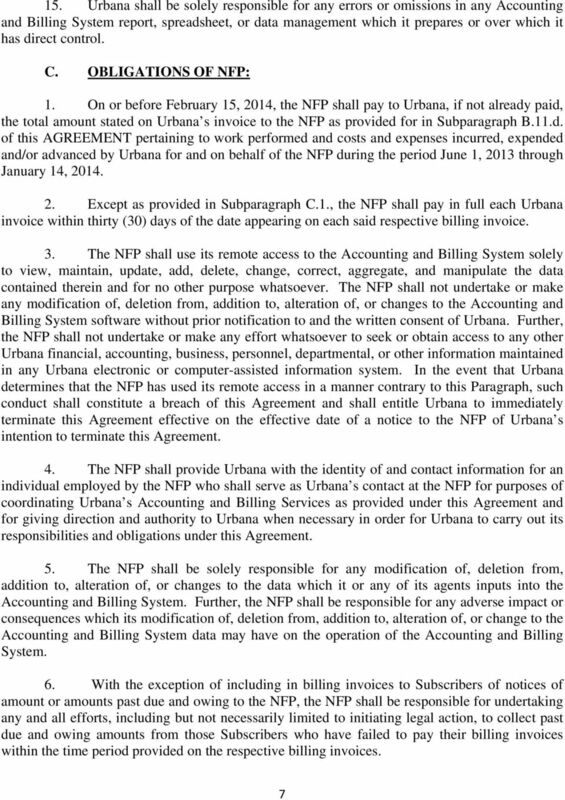 In general, those services include billing subscribers for monthly services, collecting subscriber payments, remitting those collections on a monthly basis to the NFP, and withholding from those remittances a fee per subscriber plus actual costs such as materials and postage to reimburse the City of Urbana for its services and costs. 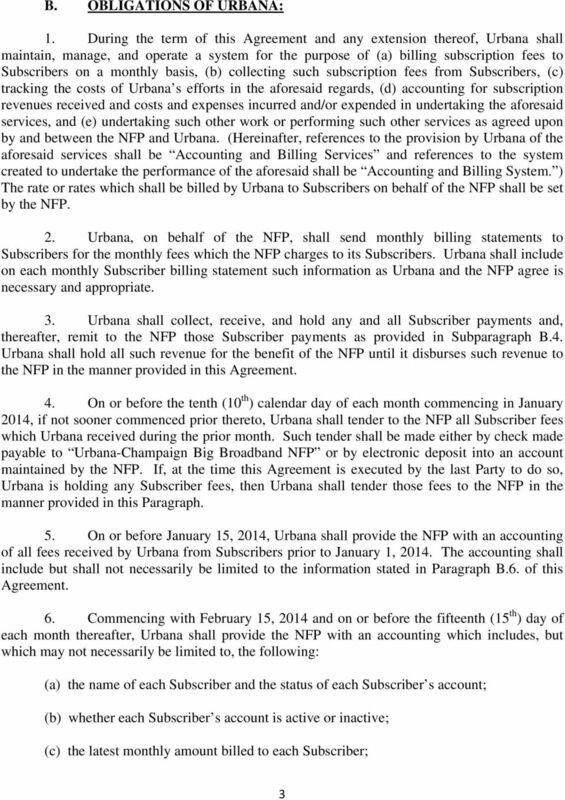 The attached agreement is meant to document the services to be provided and the reimbursement to the City of Urbana. Fiscal Impact: Negligible since fees charged for Finance Department services and costs reimbursed are done on a cost recovery basis. Recommendation: Approve the resolution as presented. 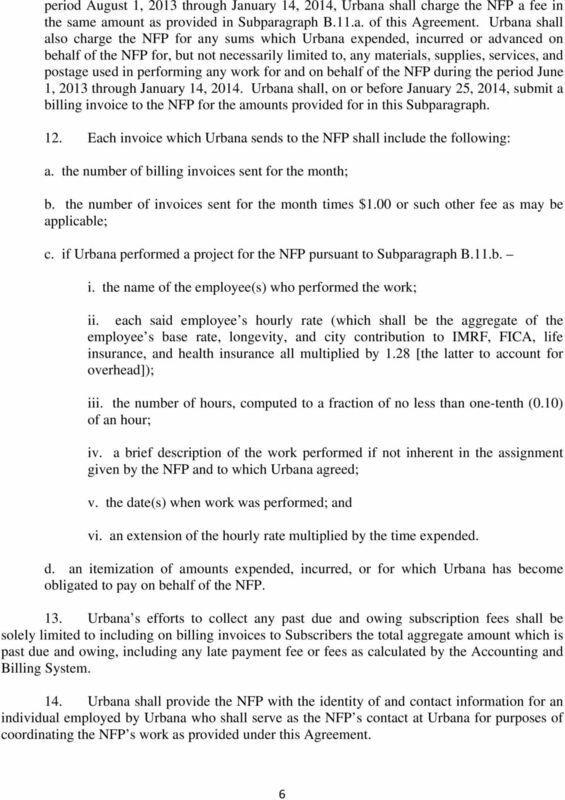 Independent Contractors Agreement This sample employment contract is from Self-Employment vs. Employment Status, CDHA (no date available) (NOTE: This is only one example of an independent contractors agreement. This form may not be modified without prior approval from the Department of Justice. 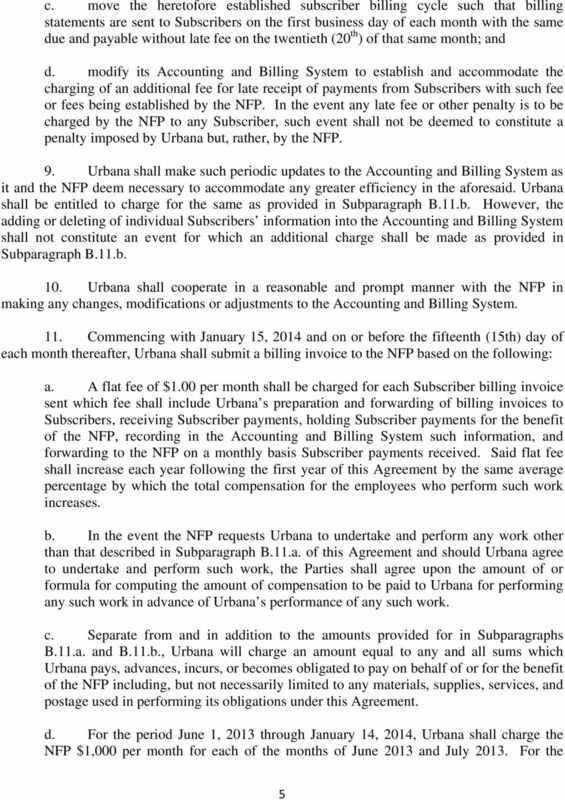 INDEPENDENT CONTRACTOR AGREEMENT. 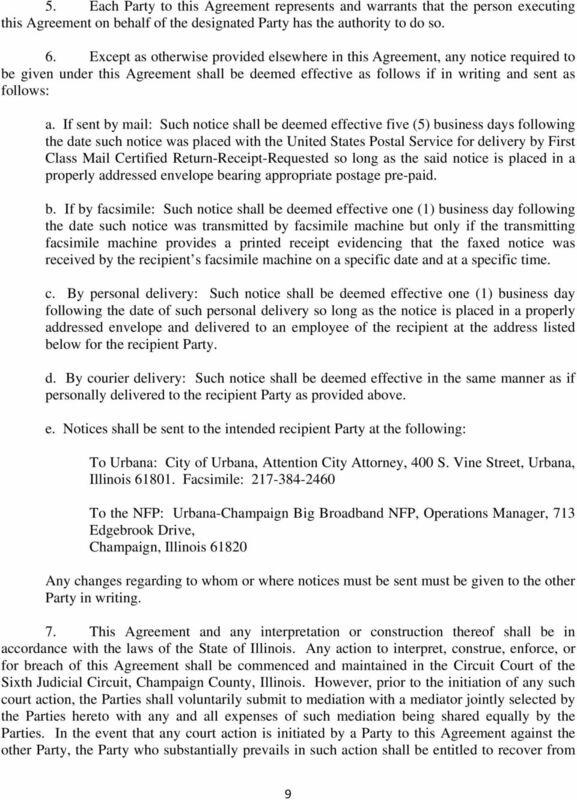 This Agreement is entered into as of the day of,, between FindMyTrainer.com("the Company") and ("the Contractor").